A degree in music and worship offers training in theology, musical and worship techniques. The course is relevant to people who feel that God is calling them to serve in the worship ministry. Graduates of the degree course can organize and lead worship sessions with theological insights, greater biblical understanding, creative and artistic skills. Music gives you an opportunity to serve the Christian ministry better than a speaker can. People talented in music provoke the sensitivity of the congregation quickly. Gospel songs teach the peaceable aspects of the kingdom and musicians who sing gospel compositions are advancing the Christian doctrine. 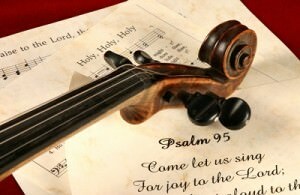 Why Study Music and Worship? A music and worship degree prepares students for the efficient administration of the worship ministry. The learners are also equipped with the practical and spiritual knowledge, sound technology, theater, and communication skills. The Bachelor of Music in Worship Arts does not promote a specific style of worship. Instead, the course exposes you to varied forms of worship applicable to the local Body of Christ. Most music departments pay particular attention to voice and playing of instruments such as the guitar and piano. Motivating the worship congregation and leading music troupes. Embracing the new trends in the worship ministry. Understanding the responsibilities of a worship leader and applying the new praise and worship techniques to the local ministry scene. A degree in music and worship provides students with broad-based knowledge in the music ministry. Students taking music and worship degrees learn music history, music theory, and literature in preparation for worship leadership in Christian ministries. Students also acquire crucial artistic and performance skills they need to start successful careers in Christian ministries. Music theory, music history, aural skills, keyboard, piano guitar, and voice lessons. Supplementary coursework may involve pop worship styles, digital recording, and modern communication technology. Regular seminars conducted by worship leaders experienced in worship music. Practical training in acoustics, electric guitar, drum, bass, and electric keyboard. Spiritual formation aimed at providing foundational understanding of worship and scriptures. Music internship at established church ministries. Graduates of music and worship degrees are seasoned worship leaders and music ministers. The graduates’ experience in music composition, sound production, video production, and worship arts is valuable to the Body of Christ. Church ministries or music producers who are wishing to promote gospel music usually engage the services of music and worship graduates. There are churches looking for music instructors, worship leaders, and the music experts may work for such congregations, according to Church Staffing. The job market is very promising for music and worship graduates who work as support staffs in the church ministry music departments.